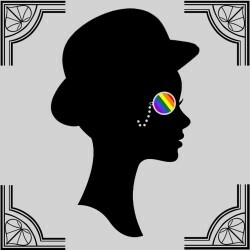 Le Monocle follows the story of Francine as she discovers the eponymous lesbian bar. Her story is interwoven with that of Violette Morris, an acclaimed athlete-turned-Nazi SS agent, and the LGBTQ+ community of 20th-century Paris. A story of compassion and community, Le Monocle is about how we cope with prejudice in the face of cruelty.